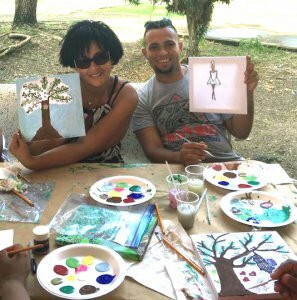 In the wake of Hurricane María through our Island, the Puerto Rican Endowment for the Humanities (FPH) joined the recovery efforts of the country by providing a space of “cultural therapy” to refugees from the Hurricane. During the month of November and in collaboration with the Department of the Family, the FPH carried out two creative workshops on art development and story reading as a therapeutic tool for people who temporarily live in shelters in the northeast area of ​​the country. 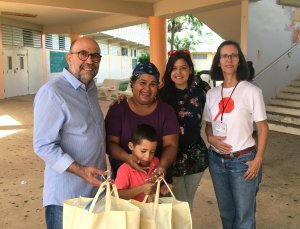 The group Gente y Cuentos, directed by Prof. Alma Concepción de Gracia and represented in the activity by Prof.ª Haydee Zayas, and the artisan Faviana Silva, joined this initiative. 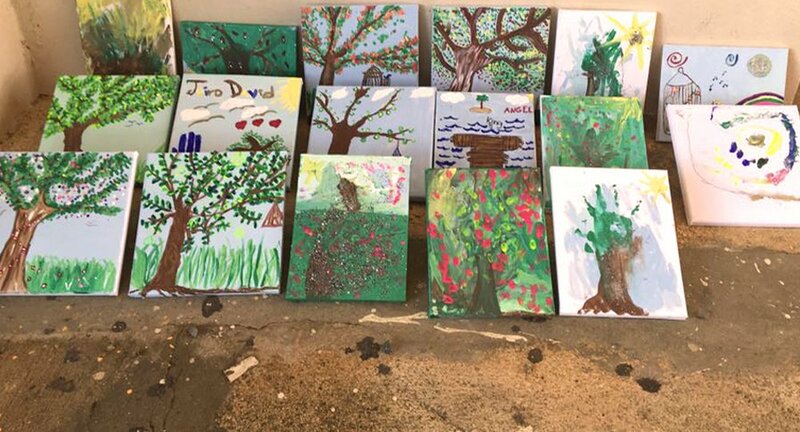 The group was in charge of reading the story and within the context of the content of the story, they developed, together with the artist, their perception of the reading in a canvas painting. The story chosen for the workshops was La prodigiosa tarde de Baltasar by the famous writer Gabriel García Márquez. Due to the success of the project, the FPH decided to take it to other groups that can benefit from the activities. Initially it will be taking the activities to Santa Teresa Jornet Nursing Home.